Whether you love dancing the night away, exploring little villages, or discovering long-forgotten ancient ruins, there’s a Greek island to suit you, all with a charm of its own. A unique formation of volcanic rock has literally given rise to some stunning views and grounds for exploration. 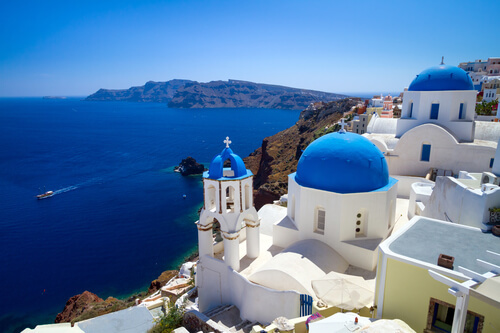 Santorini’s iconic bright white houses with blue-domed roofs overlook an equally colourful island. Home of red cliffs, black sand and turquoise waters, Santorini can be navigated via numerous guided tours that focus on local industries such as winemaking, or visitors can trek high into its hills to find the perfect spot to watch a famous pink sunset. Those wanting to journey deeper in the island’s history and geography can descend to explore Akrotiri, an archaeological site that excavates a 16th century volcanic eruption. 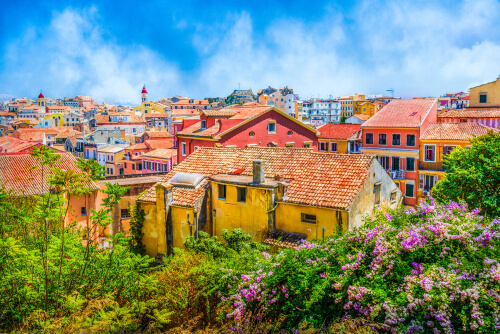 Famed for its buzzy, cosmopolitan atmosphere, Corfu is perfect for those wishing to sample some of the region’s best food and drinks. Bustling restaurants sit alongside beaches that are perfect for swimming and sunbathing as well as wild rides on speedboats or more relaxed cruises. Its water parks and resorts are designed to put youngsters in their element, too. To see the island at your own pace, it’s also possible to rent bicycles and mopeds. Horseback trekking tours are available for those wishing to journey further inland and explore its wildlife. 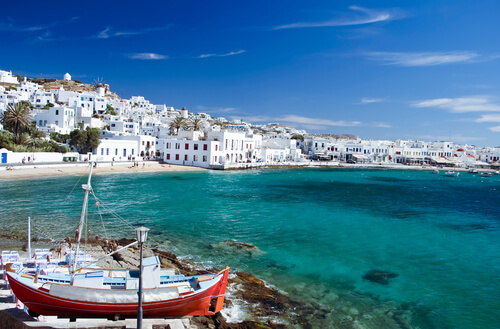 A treat for visitors who want to dance the night away, Mykonos makes no apology for being the premier destination in the Greek islands for bar hoppers, gig-goers and clubbers. From its open-air cinema to lounge bars and beachfront venues, Mykonos probably isn’t the place to go if you want a good night’s sleep, but its entertainment credentials cannot be bettered. It also hosts its share of picturesque villages and coastal tours, should you find yourself awake during daylight hours. The biggest Greek island is a hub of culture, packed with remnants from its Roman, Arab, Venetian and Ottoman eras. The Palace of Knossos is one of the sites steeped in its rich history, with parts of the surrounding area dating back to the Bronze Age. 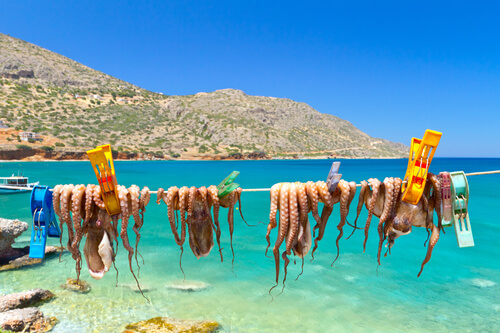 The terrain in Crete is equally diverse, boasting an array of rocky and sandy beaches. At Samariá Gorge National Park, it’s possible to walk for hours steeped in nature. Explore the remote villages accessible via its trails or rent a boat to journey to a spot of splendid isolation. A breathtaking combination of old and new, Rhodes preserves a fascinating mosaic of ancient cultures within its city walls while outside, it continues to adapt to the times. Churches sit alongside Roman ruins, a Venetian fort and more, making it a prime stop of history buffs. While its archaeological museum uncovers more secrets from its treasure trove past, the Museum of Modern Greek Art offers a contrasting fix of contemporary culture. The eateries in its old city are known for their fine dining and further afield, beaches and bays await anyone who wants to explore Rhodes’ natural heritage. A popular destination for day-trippers from Athens, Hydra also welcomes artists to leave their mark on its picturesque landscape. In the mid-20th century, Hydra began to attract an international community of creative minds. Now, it continues to do so through an annual show that features installations by noted sculptors displayed in converted spaces such as a former shipyard and a slaughterhouse. The banning of motor vehicles on the island only adds to its bohemian feel. Donkeys provide a popular mode of transport and it’s possible to settle in and stay at a self-catering house or apartment. 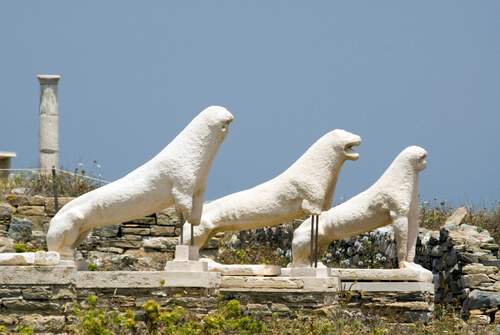 An epicentre for archaeological discovery, Delos contains a wide range of historic monuments including the remains of a marble theatre built in the 1st century BC. Its temples and statues date back to the Hellenistic and Classical Greek periods which offer more tantalising hints of its past. Unlike many of the other Greek islands, Delos is not particularly hospitable terrain but visitors can soak up a unique experience and perhaps share in the sanctuary it provided for Apollo. 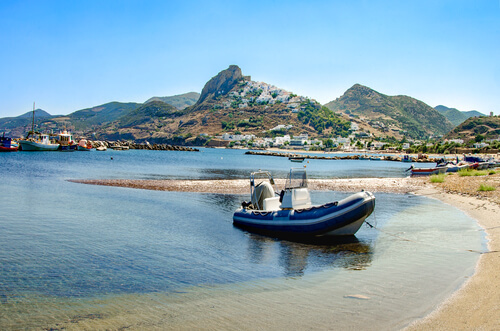 The place to go if you wish to revitalise yourself through either adventure or relaxation, visitors to Skyros can do everything from dive into cave exploration to retreat into mindfulness. Dance, the arts and well-being retreats are among the popular activities on offer and can help you unwind in an age of constant connectivity. Make the most of your creativity, learn a new skill or reconnect with a part of your life that has been pushed aside by your daily routine. 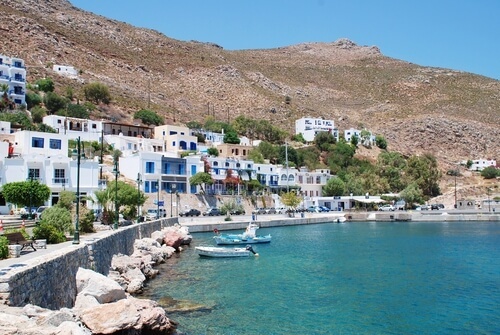 Paradise for nature lovers, Tilos is mapped with a network of pathways that take its visitors into the wild. Once there, you can while away the hours by spotting its many rare birds and other species that create a living monument to ecology. Here, flowers and herbs flourish alongside local creatures. The Byzantine Monastery of Aghios Panteleimonas stands at the end of the only road on the island. A bold structure, it is decorated with florid frescas which are in contrast to the ‘ghost village’ of Mikro Chorio. Wander through its abandoned streets for a different kind of connection to the past. As you would expect from the site where St. John supposedly wrote the Bible’s Book of Revelations, Patmos has both great historical and religious significance. 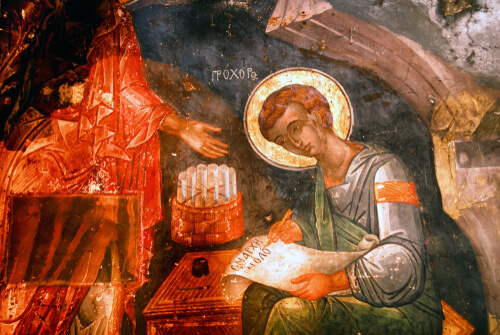 Landmarks such as the Holy Cave of the Apocalypse have long-since been transformed into places of worship and the presence of the church on the island ensures that the atmosphere remains respectful and secluded. Patmos, however, is not without its glamour: stunning villas and sophisticated bars keep its well-to-do visitors happy, while local shops and bakeries ensure the island retains its local, welcoming atmosphere.